I was educated at the University of California at Berkeley, studying English and Art. In 2003, I began to explore the tradition of Botanical Art by studying with Catherine Watters and in various workshops throughout the country. 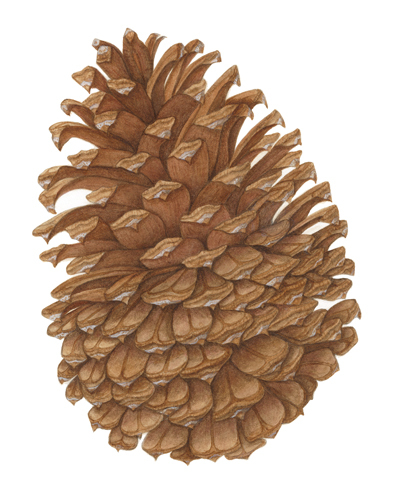 My paintings are currently in the permanent collections of: U.S. Botanic Garden, National Park Service, S.F. Garden Conservancy, Alcatraz Island Florilegium, Heather Farm Garden Florilegium, as well as private collections across the U.S.
I’ve been selected for the following national juried exhibitions: U.S. National Park Service Centennial, (U.S. Botanic Garden Washington DC), Filoli Gardens Annual (Woodside CA), Alcatraz Florilegium (S.F. CA), and Heather Farm Garden Florilegium (Walnut Creek CA). Other exhibitions include: Huntington Library, Boston Marriott, Denver Marriott, S.F. Presidio, Berkeley Art Center, Piedmont Center for the Arts, a Muse Gallery S.F. and the Danville Fine Arts Faire. 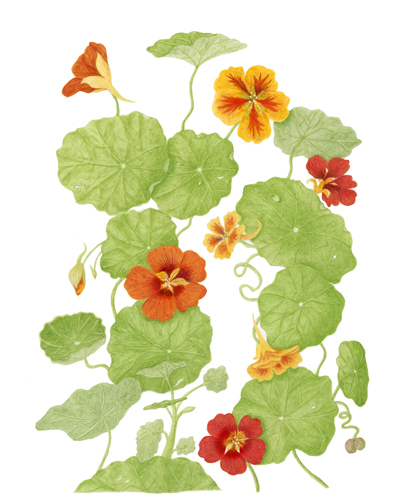 My cover art publications include work for the Garden Conservancy and the Berkeley Botanical Gardens. My paintings have also been featured in Fine Art Connoisseur magazine, San Francisco Chronicle, Piedmont Post and in the book, The Gardens of Alcatraz. In community, I’ve curated the annual Piedmont Harvest Festival Art Exhibition, created sets and performed for the East Bay Children’s Theater, designed for the Oakland Art’s Council’s 1,000 Faces Mask-making Project, and participated in Oakland’s Pro Arts Firestorm Tile Mural Project where my art is permanently installed at the Rockridge Bart Station in Oakland.